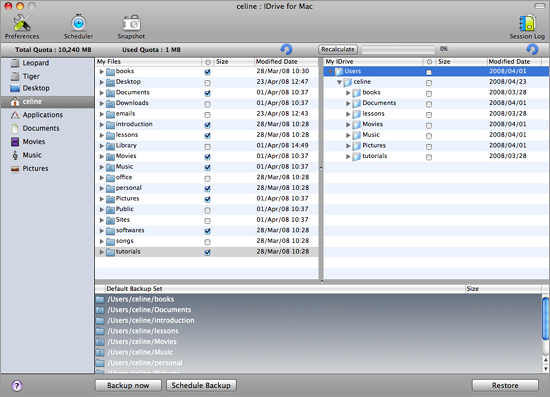 We are excited to announce beta release of IDrive Online Backup for Mac. This is a major feat for us and for Mac users. 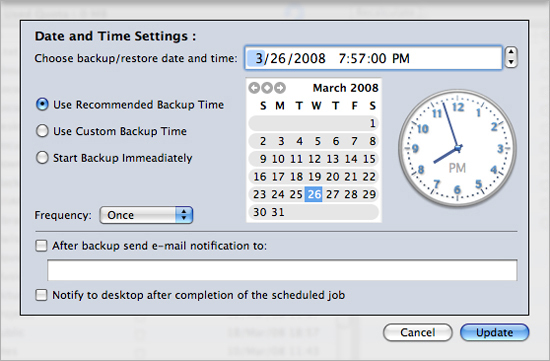 There are few choices for online backup in the Mac world, and we are excited to offer one. We differentiate from others in this space in performance and ease of use. Our internal tests have shown that IDrive for Mac client outperforms other online backup offerings on Mac by a factor of at least 30%, for both backups and restores. In addition, IDrive for Mac is the only application that performs block level incremental transfers for both backups as well as restores. 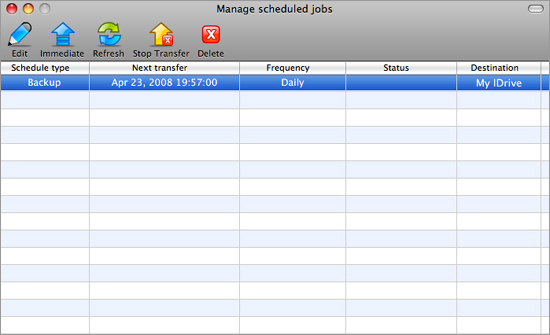 Every other application on Mac platform does only incremental transfers for backups. This innovation allows greater efficiency in transfers both ways. Pricing for the Mac accounts is same as Windows, at $4.95/month for consumers for 150GB, and $9.95/Month for 50GB for business users.